Although I've been concerned about quality. I did purchase one. Manufacture date is mid-August. 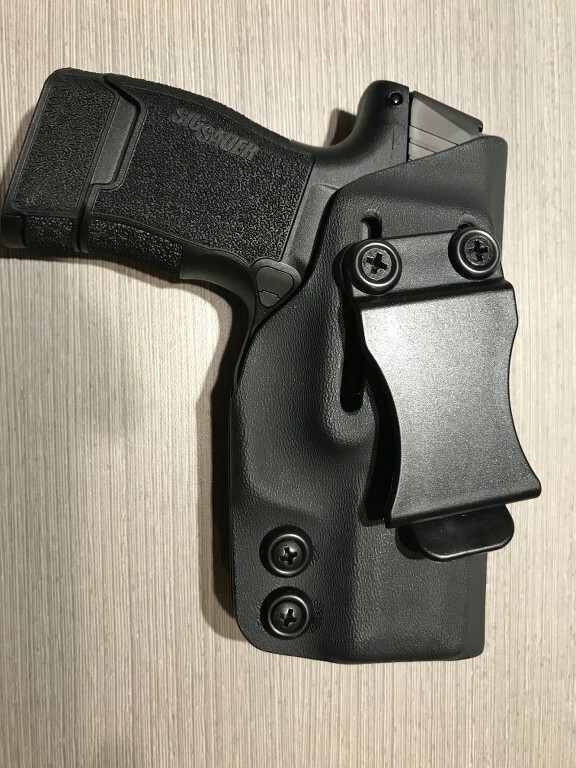 I picked up a holster from Litepath. I've been busy so I only got to the range once. Ran 300 rounds with no failures. The trigger is pretty good and it's fairly accurate and controllable under rapid fire. Overall I'm pleased with the gun. I'll be testing it over the next month or so and will keep you updated if it fails. 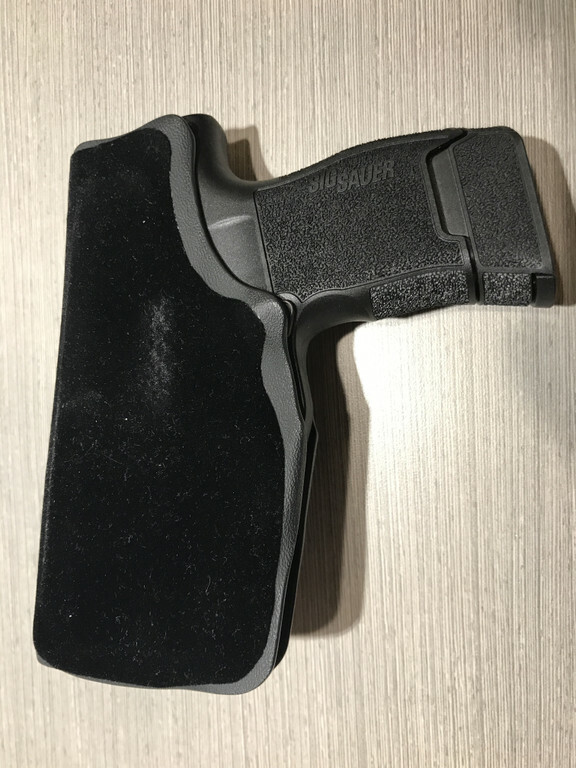 2A holster. Fast, concealable and comfortable. Pretty sad when one has to look up the month a gun was made. Gunk, I'd run a good variety of different ammo through it to be safe. I was thinking hard on this handgun but already have a P938 I'm happy with. I believe I'm going to try a LC9 or Kel Tec 9mm. Maybe the spouse unit will be more comfortable with those. I think the grip on those will conform to her tiny hands better. Has anyone dropped tested one? You need to go post an Introduction for SOCNET. Received my P365. Shoots great I carry the 12 rd mag and 1x10rd mag on belt. 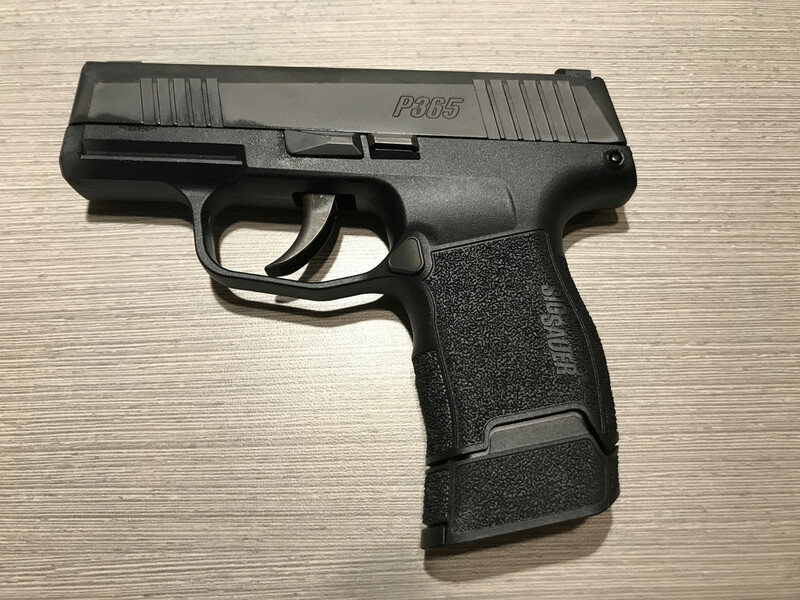 Our team recently purchased a P365 for our boss as a retirement gift. He has put several hundred rounds through it now without a hiccup. He absolutely loves it. His gun safe has a wide range of brands, so he isn't a "Sig fanboy." When I talk to him again, I'll get an update. Picked one up last week for Summer carry. No issues after the first few hundred rounds. Shooting low left initially which was corrected when shooting strong hand. I’ll have to work on supported grip with the smaller frame.